The Supreme Court Bar Association today gave an affectionate and warm farewell to the outgoing Chief Justice of India, Justice T.S.Thakur at a huge gathering of advocates, Judges, and well-wishers at the Supreme Court lawns in New Delhi. Accepting the felicitations, Justice Thakur said the positions of Judges and Senior Advocates should come to one uninvited. “They must be considered deserving”, he said without referring to the petition seeking changes in the current method of designating Senior Advocates, which he had directed to be reheard in February. Justice Thakur, who avoided making any reference to the current imbroglio between the Government and the Supreme Court Collegium over the Memorandum of Procedure for appointing Judges to the Higher Judiciary, observed that judiciary is in the cusp of great resurgence, and it should get ready to face the challenges of the future, and issues of inclusiveness. 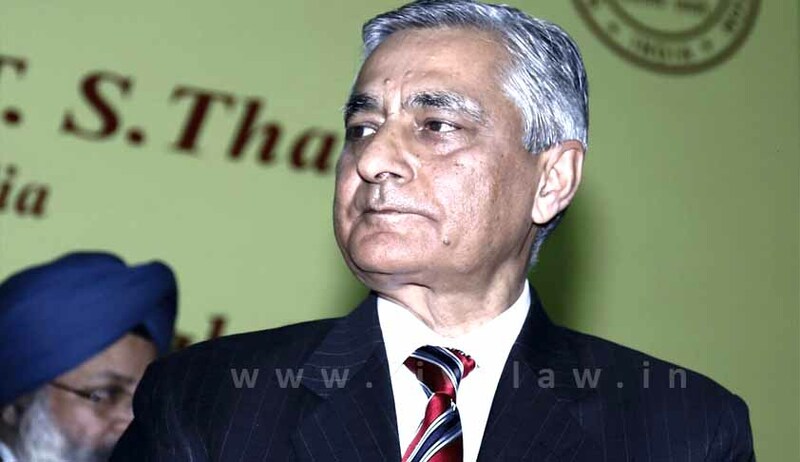 Justice Thakur, recalled his long career first as a lawyer, which he cherished most, and then as a Judge in three High Courts, namely, Jammu and Kashmir, Karnataka and Delhi, and as the Chief Justice of the Punjab and Haryana High Court. He said after his retirement, he would pray for the prestige of the institution of judiciary, outside its sanctum sanctorum. He said personally he would prefer an amendment to the rules, which prohibited a Judge of the Supreme Court, from practising as a lawyer, after his or her retirement. Saying that judiciary must be fearless, he said, he would have no hesitation in paying back to the institution, from which he had gained so much all these years. Chief Justice Designate, Justice J.S.Khehar paid encomiums on Justice Thakur, and said that the huge gathering for his farewell was itself a proof of his popularity. Justice Khehar recalled his association with Justice Thakur, and wished him well in whatever field of activity, he chooses post-retirement. The Attorney General, Mukul Rohatgi, who spoke on the occasion, said Justice Thakur imbibed the qualities of his father, the late D.D.Thakur, who was a Judge as well as the Deputy Chief Minister of Jammu and Kashmir. Others who spoke on the occasion included the president of the Supreme Court Bar Association, Senior Advocate, Rupinder Singh Suri, Vice-President, senior advocate, Ajit Kumar Sinha, and Hony. Secretary, Gaurav Bhatia. They thanked Justice Thakur, for his unstinted cooperation during his term as the CJI in promptly fulfilling the infrastructural requirements of the Supreme Court advocates and litigants.